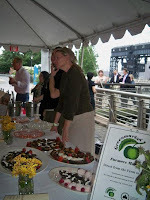 For the second year now, I attended the Taste of LIC event. 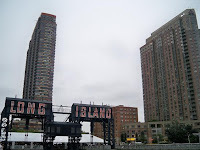 I thought that last year's venue, the rooftop of the East Coast Tower apartment building was spectacular, but this year at the Gantry Plaza State Park it was just as (if not more) beautiful. It was fortunate that the event was tented, as the weather was soupy and on the brink of rain. But that didn't stop people from leaving the tents for a much needed food break, enjoying the beautiful city view near the East River. It was gorgeous and relaxing. 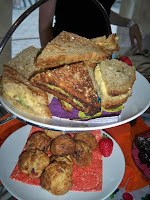 I sampled so many yummies that night that it was hard to decide what I liked best. 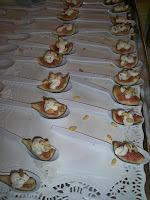 But alas I chose a couple of favorites below that I'll be checking out again - and I encourage you to try them too. I hope that you have an opportunity to visit some of these places because they really are great.